When you are a pet owner you have tons of things to worry about just as you do with having children. You need to puppy proof your home to help prevent additional accidents or injuries as you would for a new crawling baby. 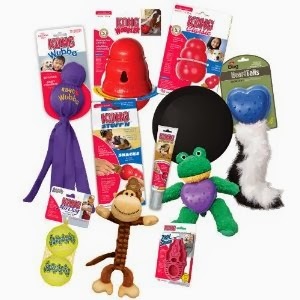 There are tons of things to purchase like bedding, crates, and of course fun toys! You also need to worry about health as a responsible pet owner. Taking your pets to the vet for a regular check up and vaccines is very important. A big pet rule in our house is the no stuffing and no squeaker rule. I can tolerate the noise more than my husband but neither of us have any patience for the fluff every where in our house ten minutes after giving the dogs a new toy. We love buying the dogs toys and are super excited to be moving into the new house soon especially for the dogs since we will have a ton of property for them to run and play. One of the things I have always tried to be vigilant about with my pets is fleas and ticks. Now that we are moving to the country and back up to miles and miles of woods, I know I need to be even more aware of this with the pets and kids. Because we have a mini zoo in our household we are always on the lookout for places to find a large selection of products for all of them. 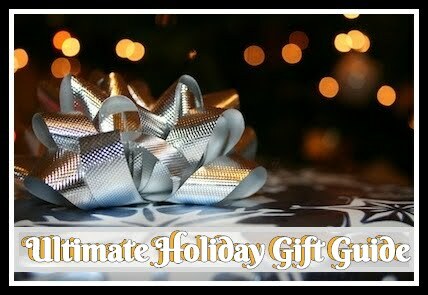 When I was recently asked to review a few products from EntirelyPets I was pretty excited as they carry a huge variety of products for most any pet you could have. "As your one-stop pet shop, EntirelyPets.com provides affordable solutions to give your pet the healthiest and happiest life possible while saving you money." I was sent over both K9 Advantix II and a Large KONG Quest Star Pod for review. 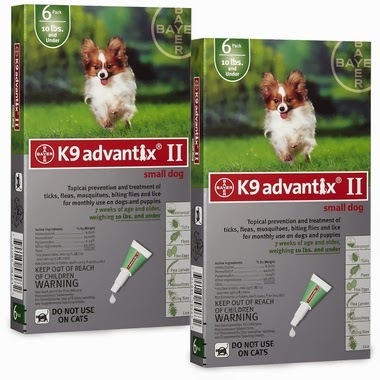 K9 Advantix II is the most well known name and used product for flea and tick prevention. This is a topical treatment which is water resistant even if your dogs like to play in the water! You can even bath them without worry it will reduce any effects. It protects against ticks, fleas, mosquitoes, flies, and lice. You can purchase this specific to your dogs size and in packages of 4 month, 6 month and 12 month treatments. Not only does the thought of bringing bugs into my house gross me completely out but having them cover my dogs and children causing who knows what kind of pain and disease, I'm not letting that happen! It just seems like a waste to buy toys that the dogs will tear up in a few short minutes or even over a few days (especially when toys are as expensive as they are). Very rarely I come across a toy that holds true to its claim of being indestructible especially with my two super-dogs who are both part pit bull. Kong has been one of the very few toys which last with my dogs. Now usually I wouldn't have picked out the KONG Quest Star Pod because I know the dogs can break through this material. However, I fell in love with the unique shape and design. 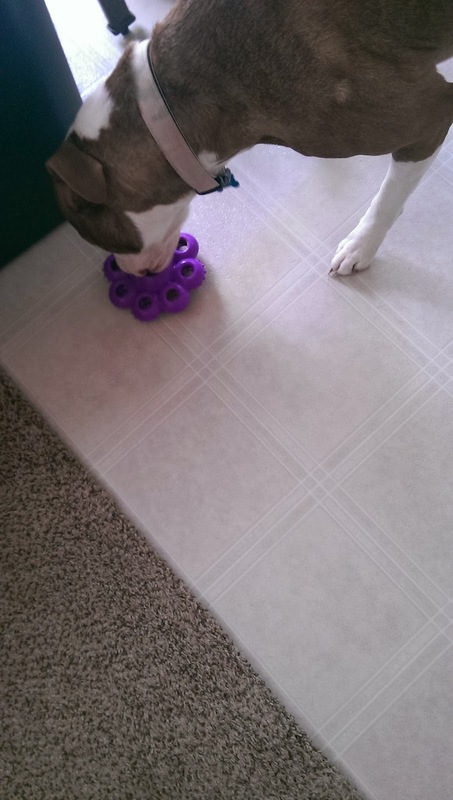 Its "unique treat-dispensing design challenges dogs and cleans teeth." I dabbed a little bit of peanut butter with my finger through a few holes to grab their attention and away they went. Recommendation: Totally love this toy as they seemed to love it and it kept them busy. 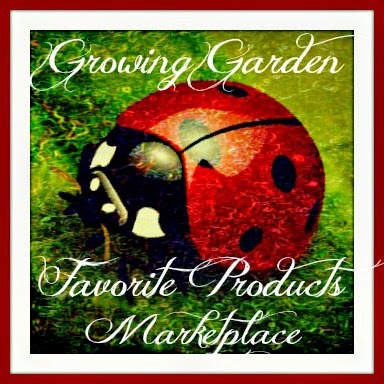 I think the variety they offer is fantastic and all their prices are great, much lower than most other places! 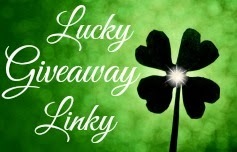 Giveaway: Entirely Pets is going to give one of A Lucky Ladybug's lucky readers a KONG Quest Star Pod to have of their own! We have three rescue dogs! I have 4 cats and 3 dogs but at any given time I will have more because I foster. The 7 animals I mentioned are mine. I have a Siberian Husky, 4 cats, and a Blue Front Amazon Parrot! I have 2 Black Labs (Ty and Dexter) and 1 Mini Dachshund named Oscar. We have 1 dog, 2 lizards, guppies, and 5 toads. I have 2 dogs, and 4 cats. I have two! I have a doxie who is 10 years old, and my kids just got a mutt puppy who is 6 months! I have two dogs - an ACD Jade and a Siberian Kayla! We have three dogs: two rat terriers and a beagle mix that we just adopted today. NONE OF MY OWN BUT MY NEXT DOOR NEIGHBOUR HAS THREE AND TWO OF THEM HAVE ADOPTED ME. I LOVE THEM. We have a bichon frise, a chihuahua mix, a puggle, two dachsunds, chickens, a turkey, and a goat. I have 4 dogs! 1 German Short hair, 1 German Shepard and 2 Great Danes! I have a large german shepherd! 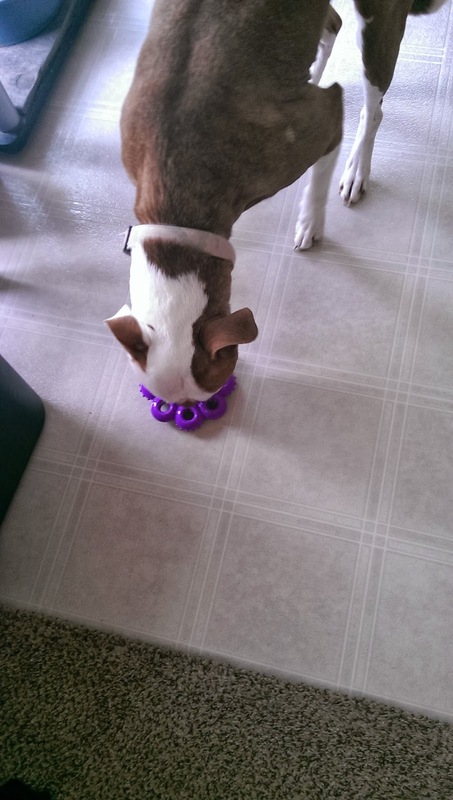 I have a wonderful mixed terrier with tons of energy and loves her kong! I have a German shepherd mix. I have 3 dogs. 2 Italian Greyhounds and 1 Chihuahua. I have a Dachshund and a Cat. I have 4 mini bull terriers. I have a Lab, Italian Mastiff, 2 cats, a snake and 3 chickens. I have a teacup yorkie, a gecko and a cat. I love all the shamrocks in the background on your blog. I also like that the font is easy to read. Having a larger font on a white background is so helpful. Thank you. I have a Great Pyrenees/Border Collie mix. He is gorgeous! I've got 3 beautiful street dogs from overseas who were orphaned at 12 days old. They're the best. A 3 year old rescue, chocolate lab(ish) that still thinks she's a puppy! I have a Newfoundland / Poodle Mix (Newfiepoo) named Midnight. I have three cats and a dog! We have a german shepherd and a pomerian. We have a pit bull mix and a caucasian mountain shepard. We have a rat terrier and beagle. We have a beagle, black lab and a mixture of what I am not sure of. I am owned by an 8 yr old chocolate lab who thinks he is a puppy he loves to play! I have a 7 year old male Beagle and an 11 year old female house cat. we have a lab mix. she is our baby girl. We have one dog and three cats. We have 2 dogs and fish! We have 5 dogs, a boston terrier, rottweiler, and 3 mixes. I have two dogs, Winnie and Elvis! I have a weenie dog.